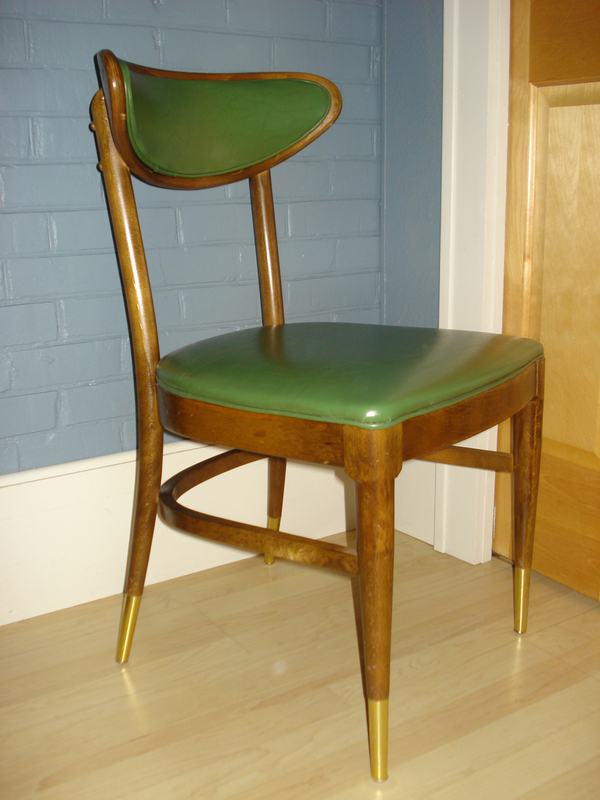 Cute green vinyl & wood retro chair made by Bianco Manufacturing of St. Louis, MO. Reminds us a little of George Jetson meets Danish Modern. 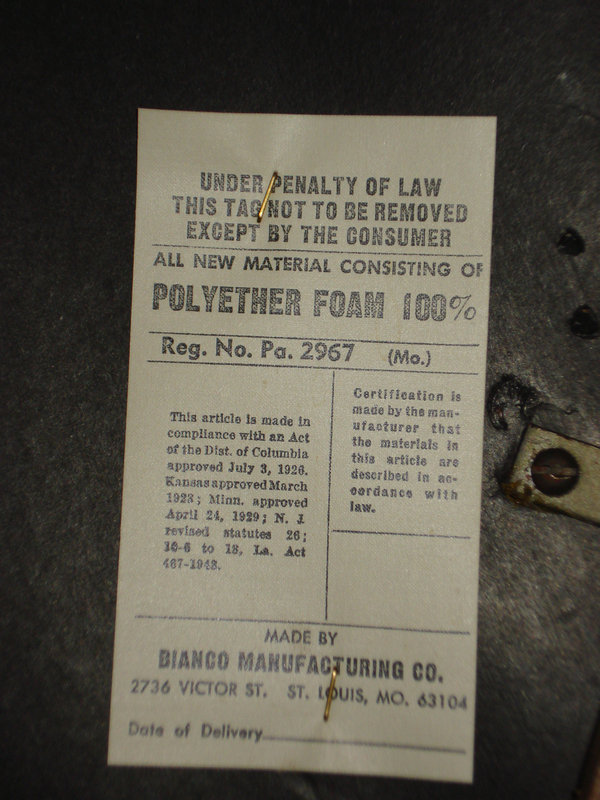 Bianco Manufacturing Company label on bottom of green vinyl & wood chair. I have the exact same tag on a chair I got at an auction for $3 I can’t find how much it is worth. Can you help me? Hi, Marina – Valuing vintage items is not always easy to do. Because so many people grew up with mid-century pieces like the chair pictured above, they don’t always think it has any value. It’s just an ordinary chair for everyday use. For those who collect mid-century furniture, the price they are willing to pay is really what the item is worth. Those values fluctuate with the market and trends. If someone like Martha Stewart starts plugging a particular mid-century designer, the value of pieces can skyrocket. If the market gets flooded with a particular item, the value may plummet. When we try to figure out a value for a piece, we do a lot of online research to see what identical or similar pieces are going for. If we can’t find anything similar, which happens more often than we’d like, we try to guess a reasonable price and see if someone is willing to pay that amount. If we find an item isn’t moving at a particular price, we’ll discount it and see how it does at the lower price. It’s not an exact science (darn!) and we’re new to this business, so we’re bound to learn more with experience.